Air-Craftglass recently received the news that our Natural Collection was nominated for the next International Yacht and Aviation Awards, which will be presented on 18 May 2018 at the Hotel Cipriani in Venice. The International Yacht & Aviation Awards are now in their eighth year. As the only awards of their kind to be truly design-focused, they are a key event in the calendar of both industries. While other events are similar in nature, they do not focus solely on design-related elements in both the yacht and aviation sectors. 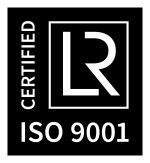 This is the third time within a short period that Air-Craftglass products have been acknowledged for their superior quality. The Natural Collection range has also been shortlisted for the Crystal Cabin Award 2017 and nominated for the German Design Awards 2018. The Natural Collection will be officially launched at our stand (C10221) during the National Business Aviation Association’s Business Aviation Convention & Exhibition (NBAA-BACE) in Las Vegas on 10-12 October 2017.